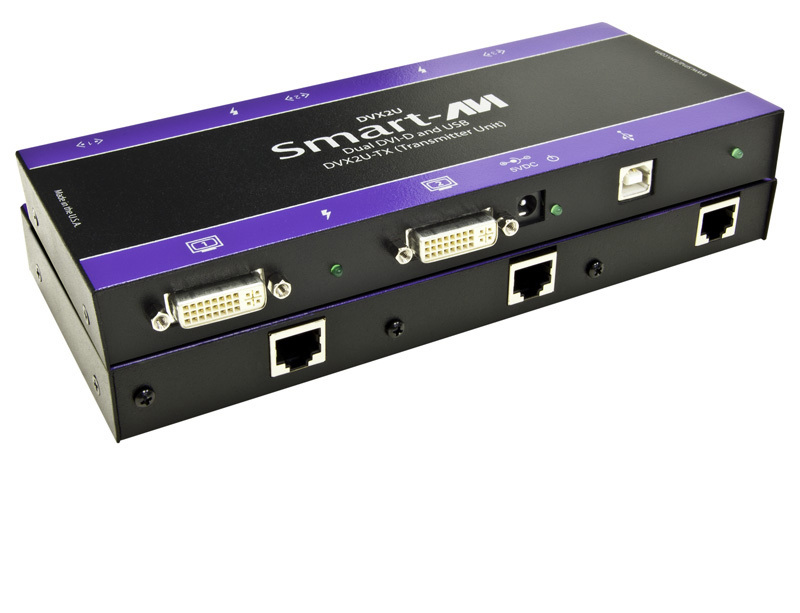 Extend two DVI-D video and two USB 1.1 signals up to 275 feet over CAT5 STP cabling. 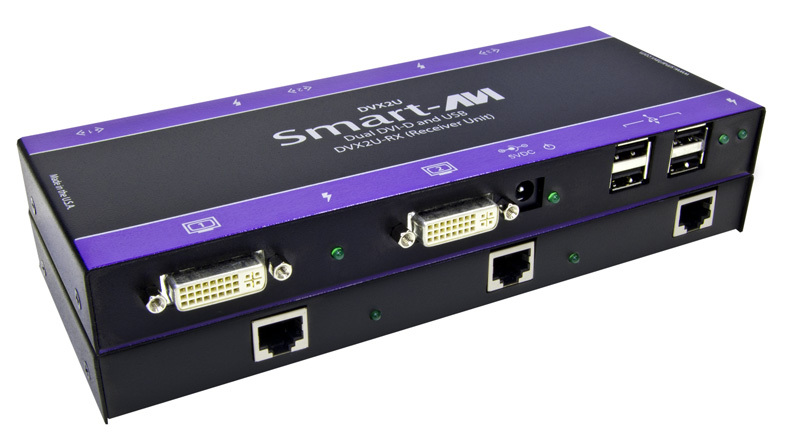 SmartAVI's DVX2U offers 2-port DVI-D and USB signal extension up to 275 feet away from source devices via shielded twisted-pair (STP) CAT5 cabling. Powerful, Cost-Effective Extension Solution The DVX2U extends crystal-clear 1080p (1920x1080 @ 60Hz) Full HD DVI-D video signals up to 275 feet from a source device using reliable, protected STP CAT5 cables. These shielded cables are highly affordable and widely available, as CAT5 extension is one of the most popular methods of boosting AV signal ranges on the market. This makes the DVX2U a great addition in many environments, including restaurants, office buildings, schools, entertainment venues, and even home entertainment theaters. KVM Extension The DVX2U also offers USB signal extension for keyboards and mice, perfect for KVM control of remotes systems and computers. KVM functionality is terrific in data-centric and industrial environments where centralized command of remote systems is essential to expediting workflow in pressing situations. Input Cable Length Up to 20ft. Output Cable Length Up to 20ft.